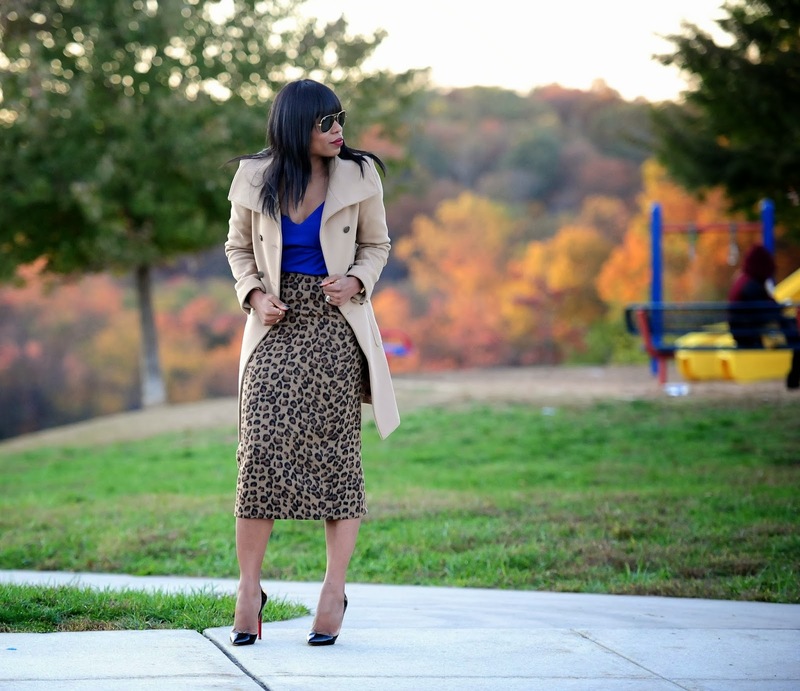 The focus of this outfit is the leopard pencil skirt. I previously wore the skirt weeks ago and posted a picture on my instagram page. This time, I switched it up by adding a bit of color with the cami. 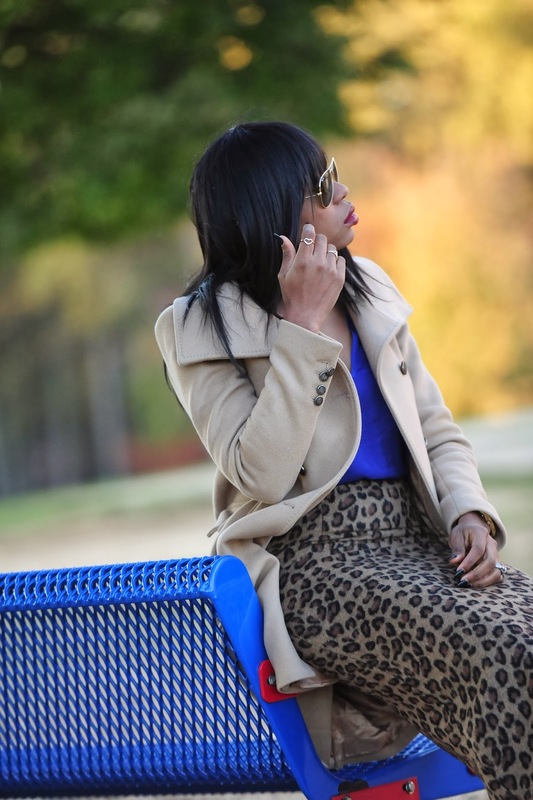 Cobalt blue is a great color to compliment any leopard pattern. It brightens up the neutral tone outfit without being overbearing. Definitely, a great color to add to your fall wardrobe. Always on point!!! Love you style Stella. Beautiful outfit!! I love animal print & adding a pop of colour is such a fresh approach. Love! What a beautiful outfit love that blue paired with leopard omg perfection! girl, those louboutins are everything! Yessss! I'm here for this combo! 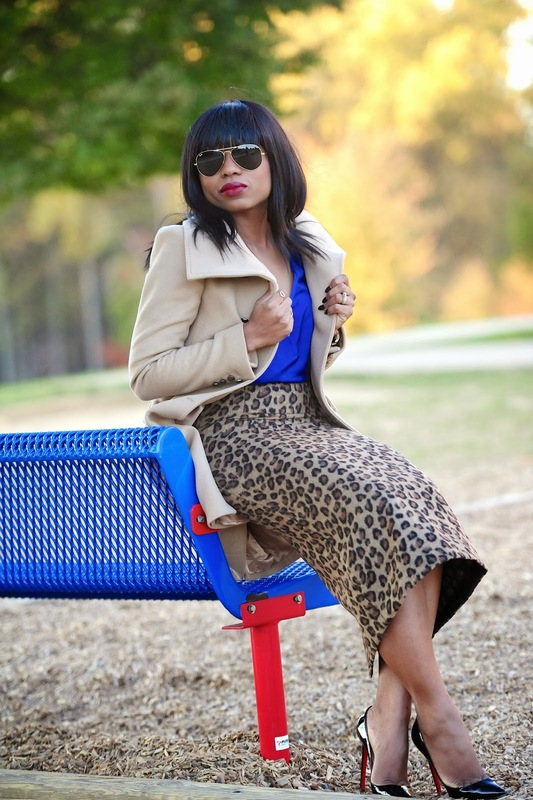 Love that leopard print pencil skirt against the blue silk cami! That top is everything! Love love love the back! U have such beautiful skin!!!!! U look FAB!!!! Loooooooove the skirt!! and the pop of blue..
That skirt is everything. Love your look. Always classy and on point. Love everything about this look. Love, love, love the blue top on the leopard print skirt.